When switching between photo slideshows in PowerPoint you can add the Flash Transition Effect to make your slides more interesting. 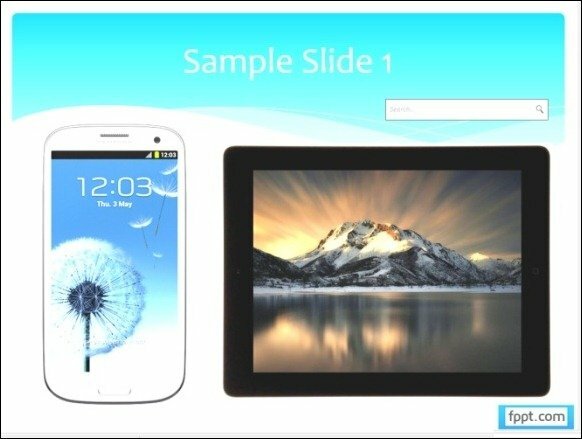 Such a slideshow may be displayed to re-visit a corporate trip during a quarterly presentation or perhaps to display the images of top achievers on the office LCD screen. 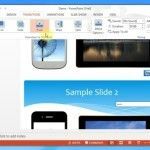 In such a case you can use the Flash Transition Effect to switch between photo slides and even convert your PowerPoint presentation to video format, to play it in a loop on an office monitor. Unlike other transition effects in PowerPoint, Flash has no specific direction that can be set from Effect Options. 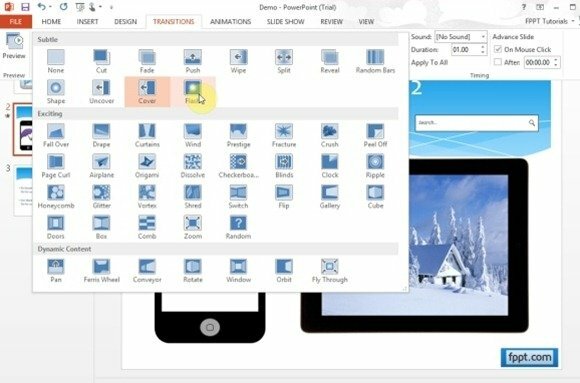 You can apply this simple transition effect by going to Transitions tab in PowerPoint. Like older versions of PowerPoint, this effect is also available in PowerPoint 2013. Once applied, your slide will switch with a camera flash like effect. When To Use The Flash Transition Effect? 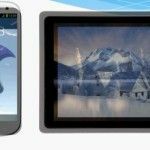 Other than photo slideshows, this effect might also be used for common presentation slides to grab the attention of the audience. It might also be a good idea to apply this effect when switching to an important part of information during a presentation or when revealing a new product during a product demo. To see how to apply this transition, watch our video tutorial given below. 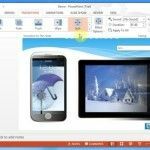 For instructions about using other transitions in PowerPoint, see this link about Transition Effects in PowerPoint 2013.